This is an old photograph of some of Charlottetown's solid citizens from 1901. 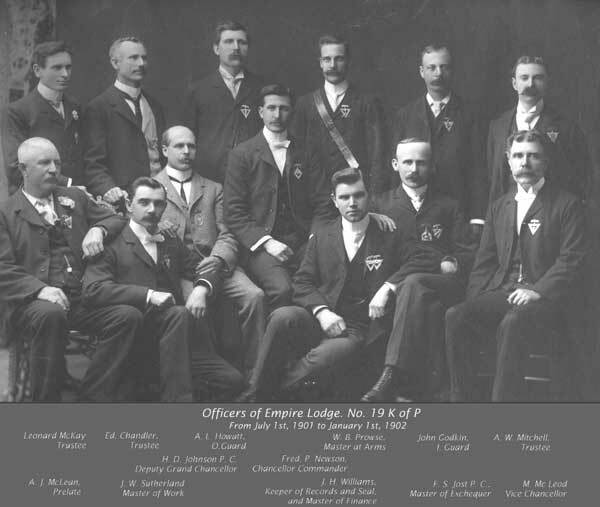 They are the executive of the Knights of Pythius Lodge. J.H. Williams in the front row is Art's grandfather. !